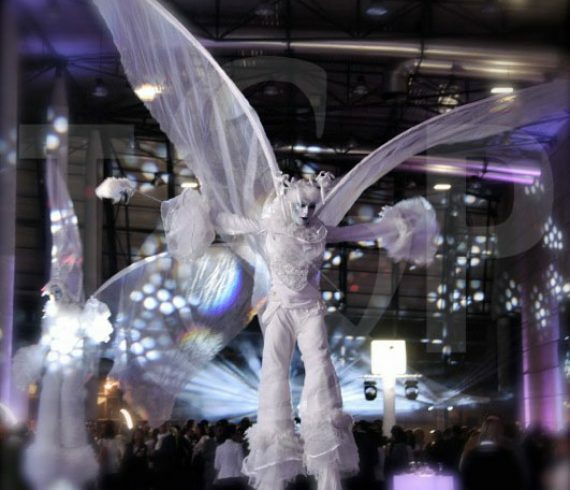 Our lighting stilts entertained Mundolsheim city in France last month. Some street entertainment was needed to accompany people while shopping at night. We offered them just the perfect solution. Our performers agency worked at home this past week-end in Monaco. Each year, the city of Monaco is setting up its Christmas village on the port with numerous chalets selling food as well as Christmas souvenirs. It was the perfect timing for our Christmas stilt walkers to entertain all visitors. 5 of our white and luminous stilts walkers including Santa Claus were walking around on the port in the heart of Monte-Carlo. More pictures on our FACEBOOK account.